It's natural for people who own air conditioners to experience problems along the way. Depending on how long you've had the unit and how well you take care of it, certain factors influence its effectiveness. The performance of air conditioners highly relies on proper care. 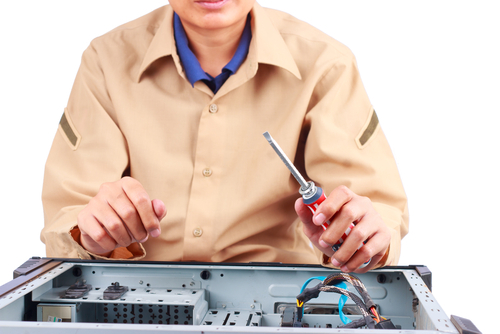 Regular maintenance will ensure that you would need less repair jobs in the future. When faced with problems regarding air conditioners, people who live in Singapore would normally hire a professional to have it fixed. However, a great alternative of fixing it is trying DIY solutions. This is a great substitute to hiring companies who are known to charge high labor fees. Aircon Servicing is very important in Singapore. It affects the home, office, and other institutions. When the process is done correctly, it will prolong the lifespan of your unit. Another benefit is getting cleaner air. Breathing in clean air should be every Singaporean's top priority. It will ensure that you're living in a healthy environment. Air circulation should always be free from germs and bacteria. If not, this could lead to frequent trips to the doctor which no one wants to go through. Lastly, an air conditioner which has dirt and fungus will not be able to function correctly. It could lead to potential water leakage which is considered dangerous. This is because it causes the air conditioner to put in extra effort to be able to run smoothly. Today, we will be discussing about The Pros and Cons on DIY Aircon Servicing. One of the most significant benefits of Do It Yourself (DIY) methods is that it requires less money. Consulting fees, labor fees, and checkup fees could all add up to become very expensive. By choosing DIY solutions, it's only your time which is affected. You will have to do the repairs yourself. This means that you would need to acquire the necessary tools and equipment by visiting hardware stores. The only thing you have to purchase are the extra parts needed. However, there's still not too much work needed compared to the hassle of paying higher rates by hiring professional companies. Fixing you own air conditioner will require you to do some research. 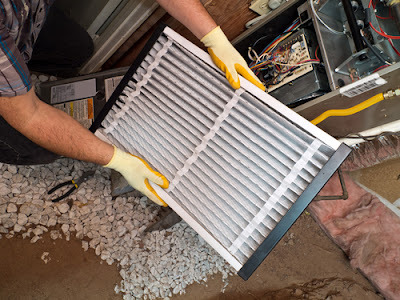 By doing so, it enhances your knowledge about the proper steps to take in repairing your air conditioner. It will also help you understand your unit better. As a result, you'll know exactly how to fix the problem in the future. Knowledge is considered to be priceless. It comes with various benefits like learning how to maintain your air conditioner well and how to use it properly. There will be a significant decrease of damages in the long run since you're able to adjust your usage according to your air conditioner's capacity. If you decide to perform DIY solutions, it will be more convenient than calling a professional. You wouldn't need to explain what's happening nor go in to much details. It's up to you to figure out how you can fix the problem. Professional companies have several fees which they charge for individually. They might not be able to visit your house when you want them to. You will have to schedule an appointment and go through the hassle of welcoming a stranger to your home. Fixing the problem yourself will not require any Aircon Servicing. Air conditioner repairs using DIY's have very serious effects. This is the reason why many people still prefer hiring a professional to avoid these risks. Since you're not an expert, mistakes are bound to happen. A lot of things can go wrong since you're not completely knowledgeable about fixing the problem. The accidental mistakes you make could lead to damaging your unit. In very complicated circumstances, it could ruin your air conditioner completely. When you first notice that there's something wrong with your unit, it will be difficult to know where to look. You may not have answers to all of your questions. Since air conditioners are electronic appliances, there are lots of wirings and cables inside it. 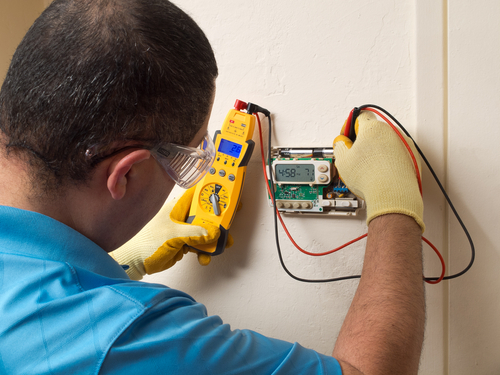 Electricity runs through it so a mistake on your part could lead to personal injury. Not only will you hurt yourself by getting bruised or burned, your surrounding environment will also be affected. Physical damages will cost even more money. As a result, you will end up being more stressed out than you originally were. You might not be aware of the safety concerns and risks involved. It's a very intricate process which uses several techniques. If not done correctly, it puts the individual and the environment at risk. Only those people who have studied mechanical or electrical courses in school will find it an easy task. For those who are completely new to the idea of fixing their own air conditioners, it will be more difficult. Because of this, damages to your unit can occur. Accidents may happen. It will cost you even more money to fix the problem since you'll most likely have to replace the entire unit. Not everyone can make a DIY successful. Some people really need someone else's expertise to help them out. Air conditioners which don't run smoothly have a higher chance of electrical input. This means that when your electric bill comes, you will notice the significant increase in charges. A fully functioning air conditioner will not have this problem. All of its wirings, electrical currents and buttons should work properly. If not, you run the risk of more expensive electrical bills. The worst part is you wouldn't even be aware that this is happening until your bill arrives. After fixing the problem, your unit could look like it's back to normal. However, problems could still arise afterwards. The air conditioner will not be in top condition anymore. For a short period of time, it could potentially work properly. But eventually, after some time it will give in to the pressure again. This means you will need to do the entire process over again. Starting from figuring out what causes the problem, researching on how to fix it, acquiring the tools needed to finally manually disassembling the unit.